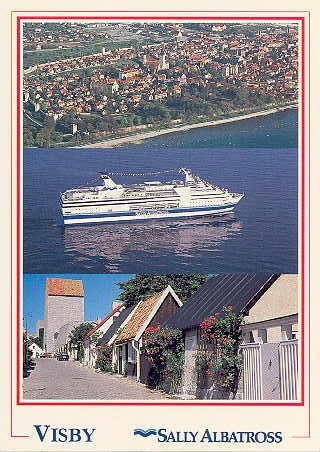 This page is devoted to postcards and photographs of the Viking Line ferry Viking Saga. 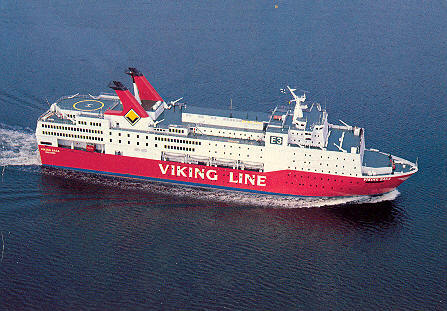 Viking Saga was built in 1980 for Rederi Ab Sally, part of the Viking Line consortium, and used on their Helsinki-Stockholm service. 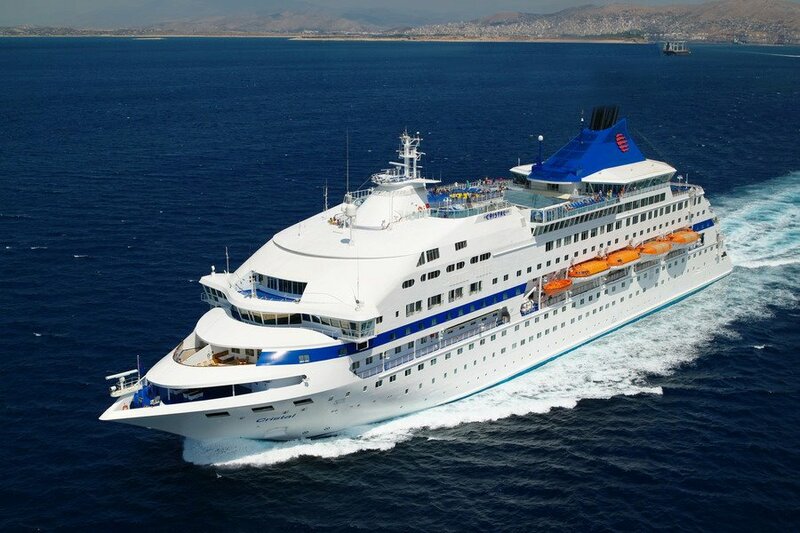 Her sistership was Viking Song. 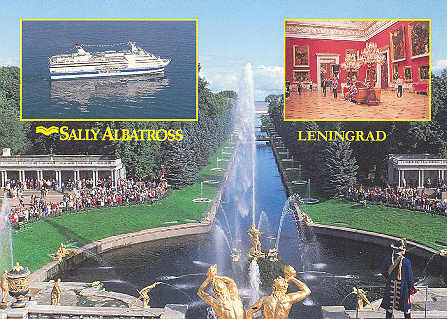 She was replaced in 1986 by Olympia, and was modified for cruising out of Helsinki as the Sally Albatross. 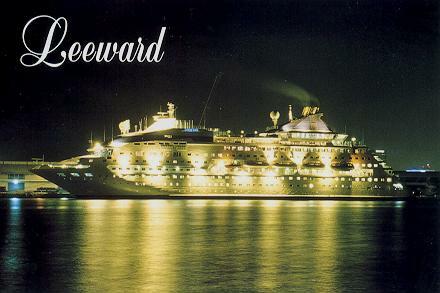 She was burnt out whilst undergoing a refit in Stockholm in 1990. 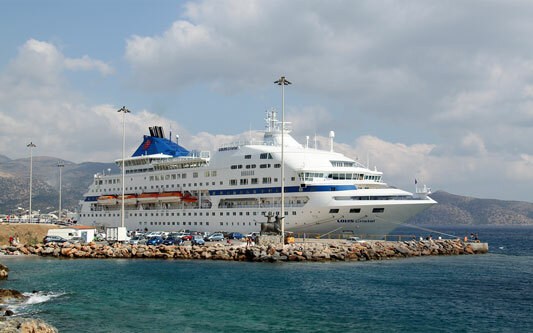 By this time Rederi Ab Sally had been acquired by Effjohn International, owners of Silja Line. 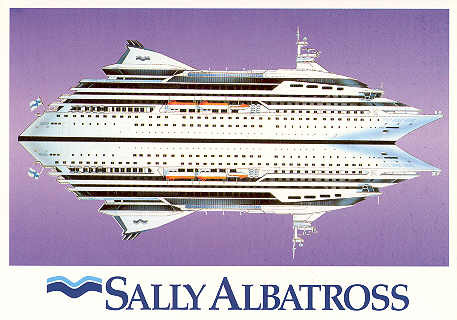 Although declared a total constructive loss, the lower hull was used to create a new ship, also called Sally Albatross, reappearing in 1992. 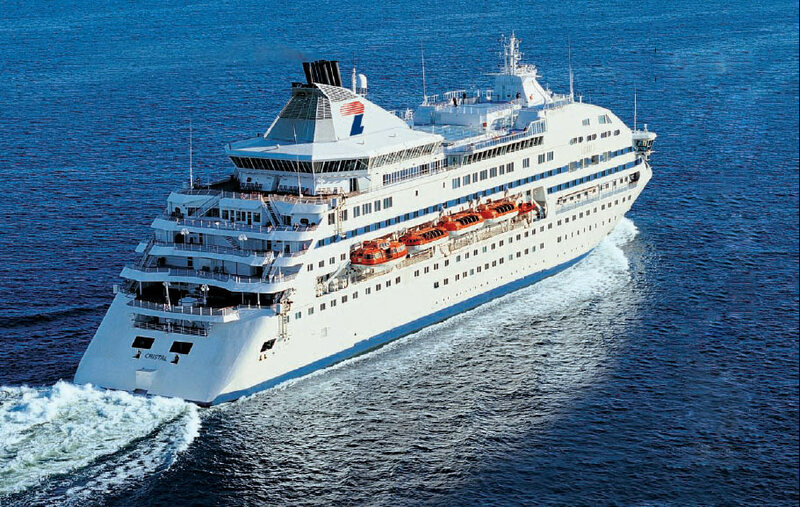 In 1994, she grounded whilst on a cruise, suffering major damage. 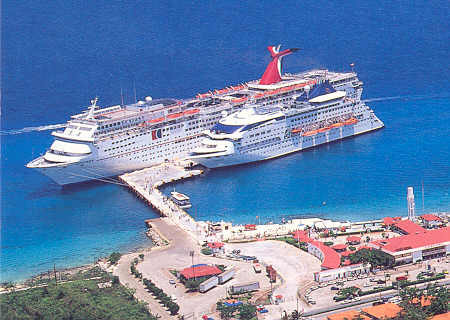 After repairs, she was chartered to Norwegian Cruise Line (NCL) as the Leeward. 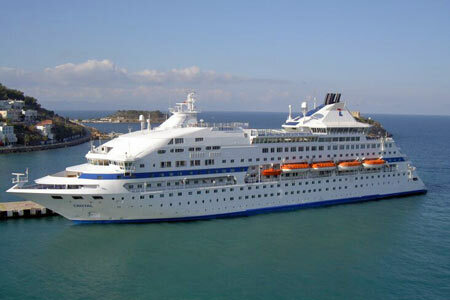 The Baltic cruise market had been hit badly by the Estonia disaster in September 1994. 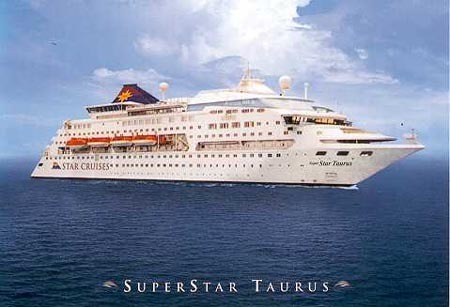 In 1999 the charter was transferred to NCL's owners, Star Cruises, for service in the Far East as SuperStar Taurus. 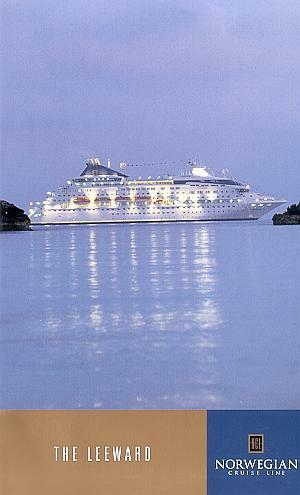 The charter was terminated by Star Cruises in 2002, and she returned to her owners Silja Line for service as Silja Opera. 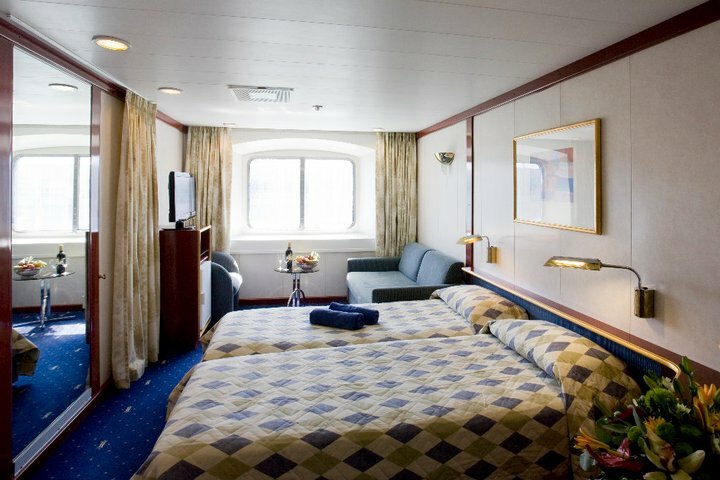 Silja Opera was not part of the sale of Silja Line to Tallink in 2006, and she remained laid up at Tilbury for much of that year as the Opera. 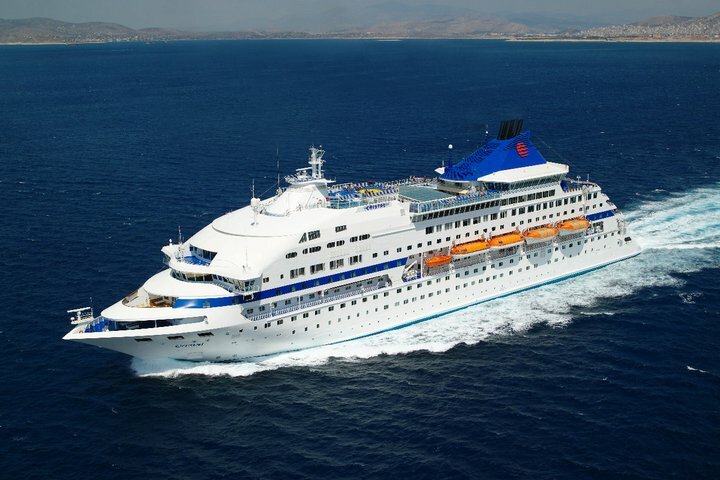 Opera was bought ny Louis Cruise Lines to replace the Sea Diamond which was lost on 6th April 2007 off Santorini Island, Greece. 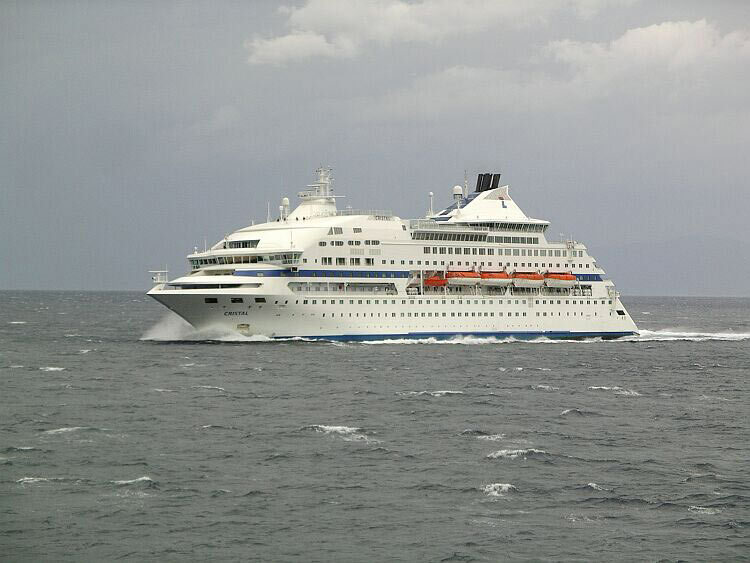 She was renamed Cristal and entered service in July 2007. 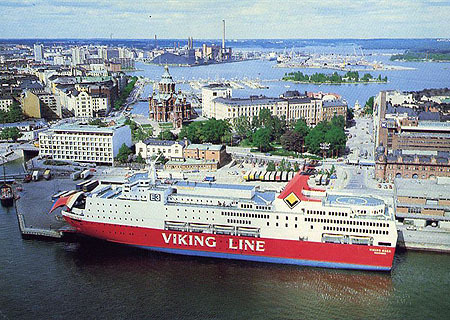 Viking Saga was built in 1980 for Rederi Ab Sally, part of the Viking Line consortium, and used on their Helsinki-Stockholm service. 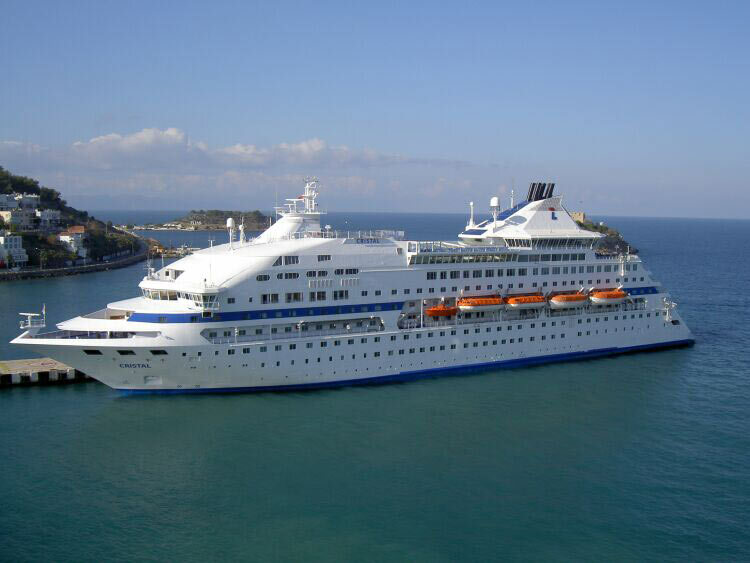 Her sistership was Viking Song. 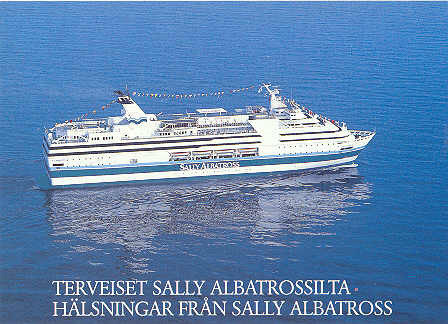 She was replaced in 1986 by Olympia, and was modified for cruising out of Helsinki as the Sally Albatross. 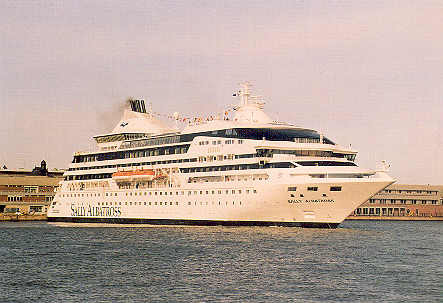 Viking Saga was rebuilt in 1988 as cruise ship Sally Albatross, but was burnt out in 1990. 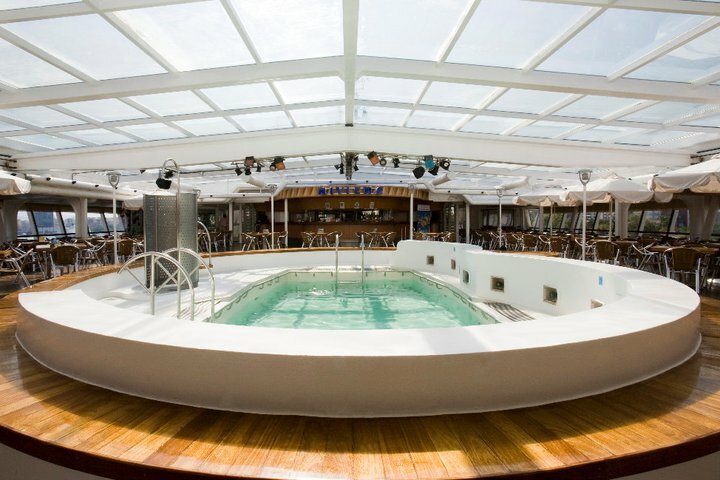 Little of the original superstructure was used in the rebuild, and the Sally Albatross which reappeared in 1992 was effectively a new ship. She suffered further misfortune in 1994, when she was severely damaged in a grounding incident. 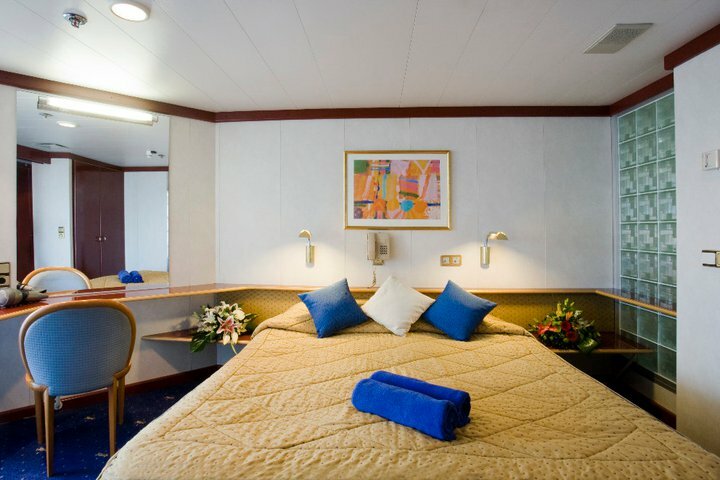 Following a second rebuilding, she returned to service in 1995 as the Leeward with NCL. 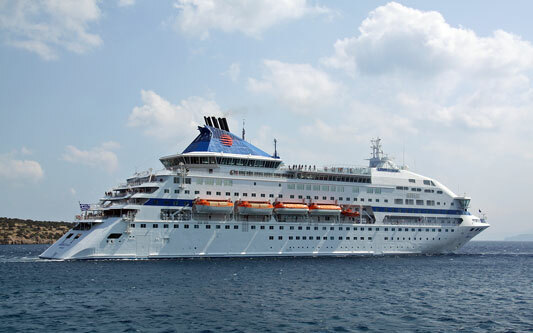 She subsequently passed into the Star Cruises fleet as SuperStar Taurus. 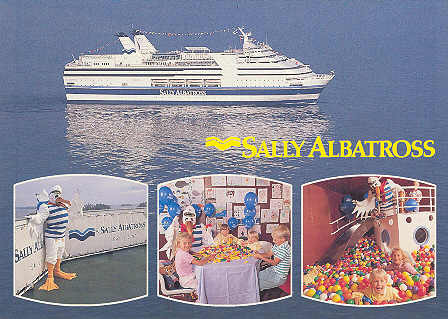 Official Sally Ab postcard of Sally Albatross. 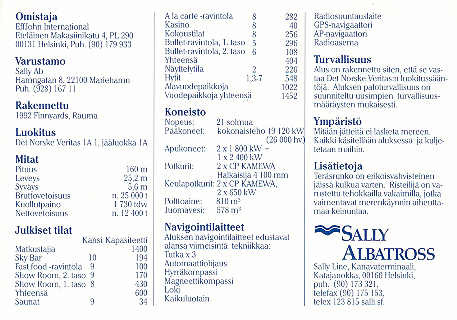 Published by Niklas Postcortti Oy, serial number 249. Published by Niklas Postcortti Oy, serial number 253. 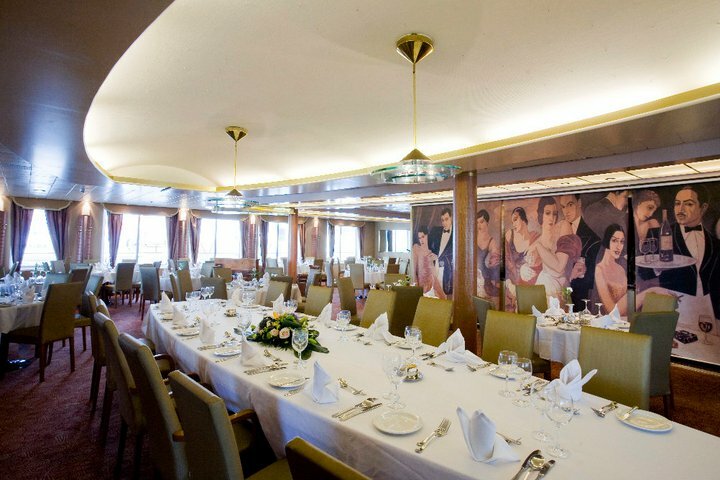 Also shows Union Bank of Finland sponsored yacht in Whitbread 1989-90 Round the World race. 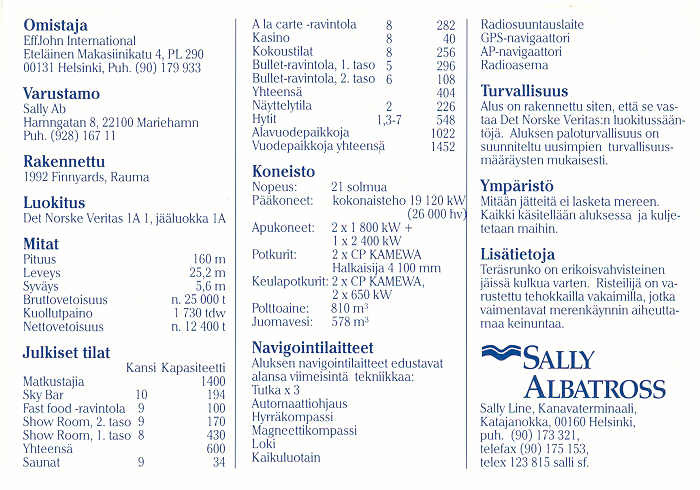 Published by Niklas Postcortti Oy, serial number 254. Published by Niklas Postcortti Oy, serial number 267. Published by Niklas Postcortti Oy, serial number 268. 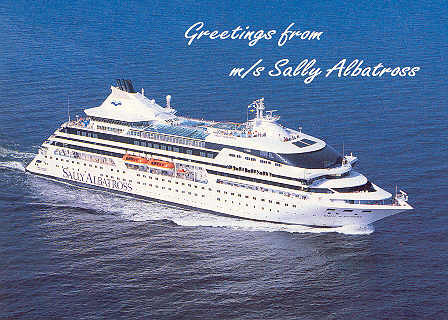 Official Sally Ab postcard of Sally Albatross, issued whilst the ship was being rebuilt, with full technical deatils on the reverse. 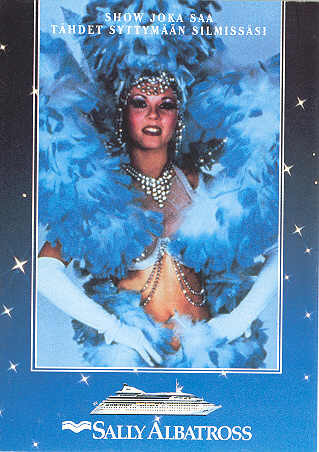 Click on the image of the card back to open a larger view in a new window. 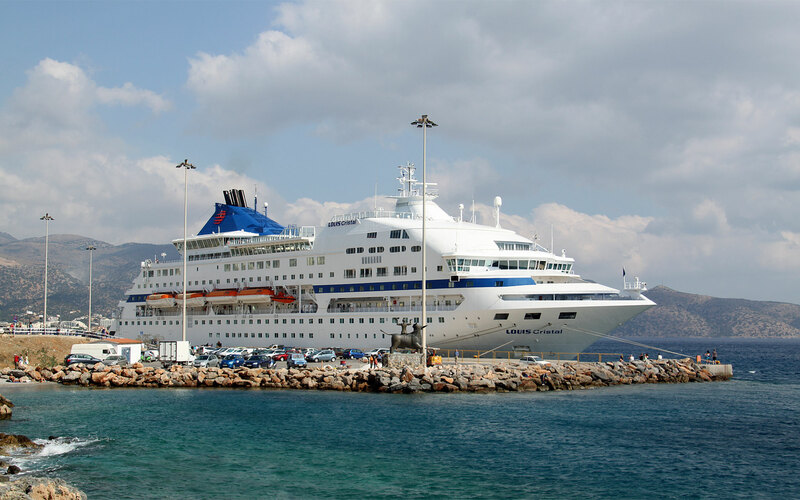 Published by Niklas Postcortti Oy, serial number 362. 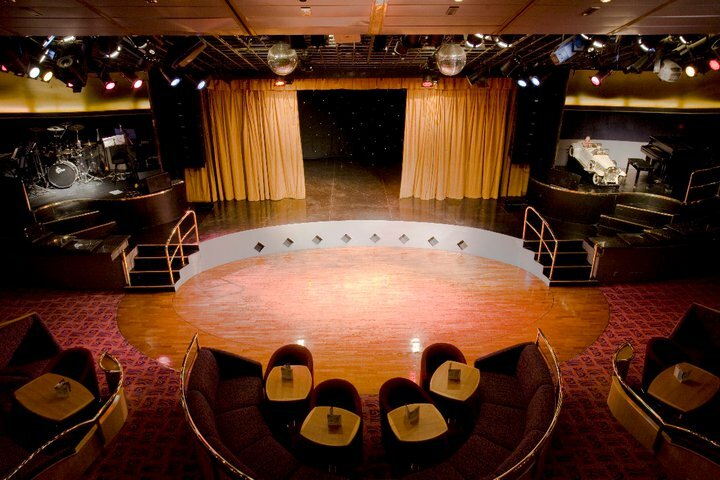 Published by Niklas Postcortti Oy, serial number 373. 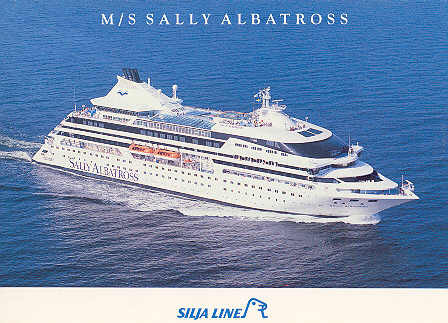 Official Silja Line (Effjohn International) postcard of Sally Albatross. Published by Niklas Postcortti Oy, serial number 378. 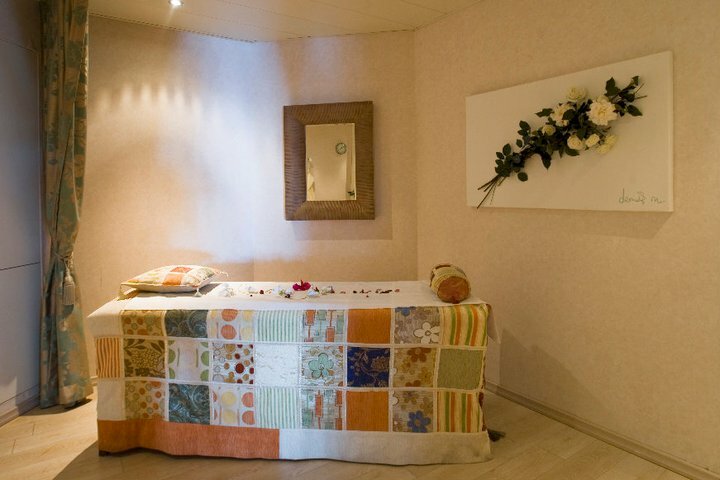 Published by Niklas Postcortti Oy, serial number 394. 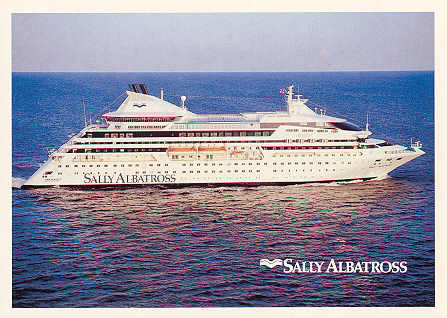 Simplon Postcards issue sc2024 of Sally Albatross, issued December 1992. 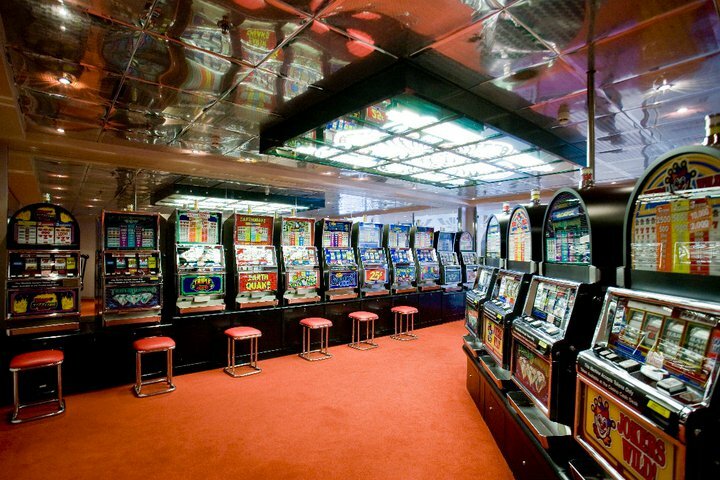 Photograph by Matti Pietikainen, Helsinki 12/5/92. 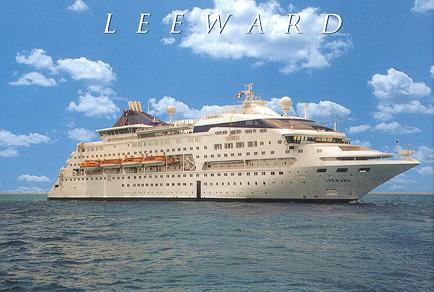 Leeward was chartered by NCL from Effjohn in 1995 for 4 years. 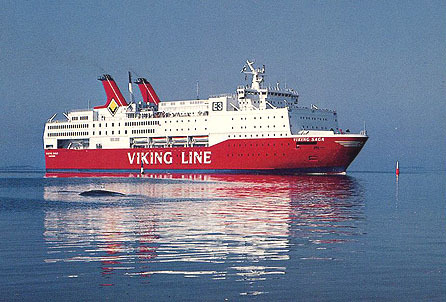 She had started out as the Viking Line car ferry Viking Saga. 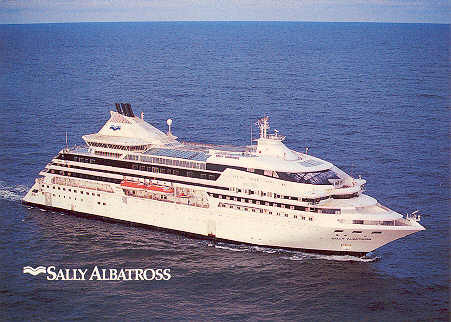 In 1988 she was rebuilt as cruise ship Sally Albatross, but was burnt out in 1990. 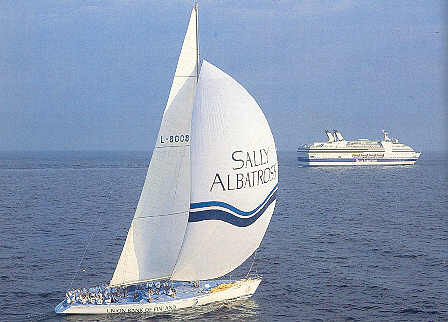 Little of the original superstructure was used in the rebuild, and the Sally Albatross which reappeared in 1992 was effectively a new ship. She suffered further misfortune in 1994, when she was severely damaged in a grounding incident. 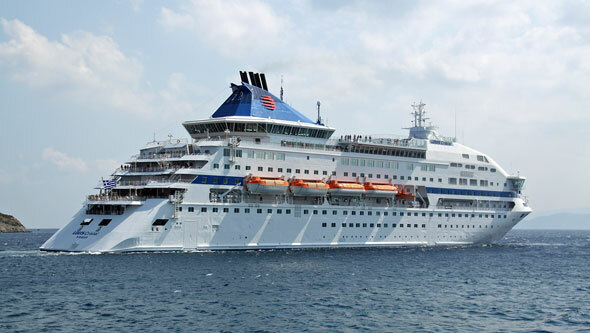 Following a second rebuilding she returned to service in 1995 as the Leeward with NCL. 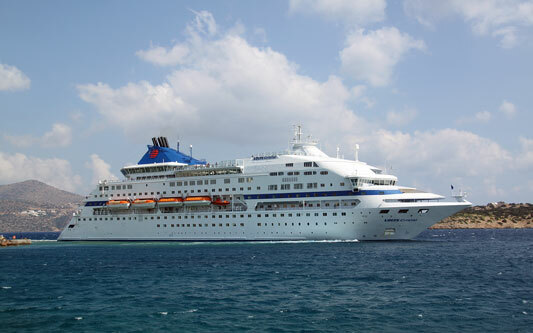 She subsequently passed into the Star Cruises fleet as SuperStar Taurus. 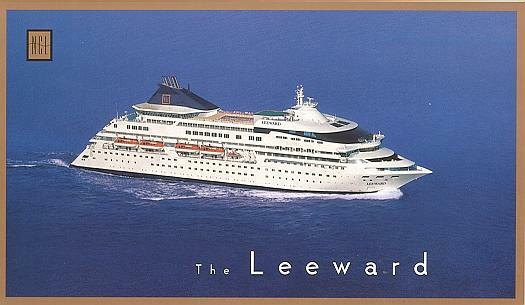 Official NCL postcards of Leeward. 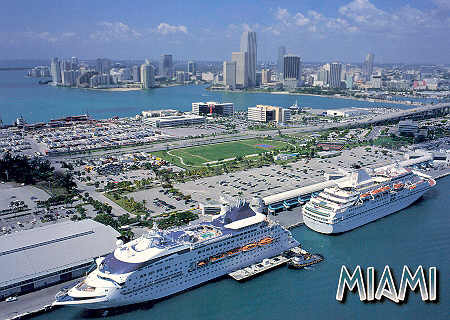 Scenic Florida postcard 4Y08 of Leeward at Miami. 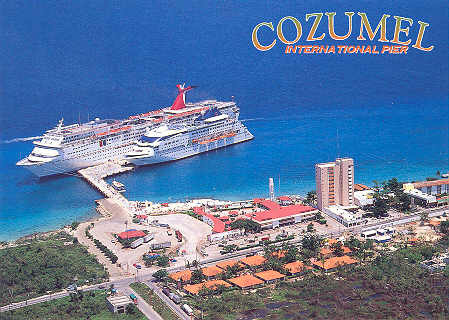 Editora Kukulcan postcard 7 509765 123427 of Leeward at Cozumel. 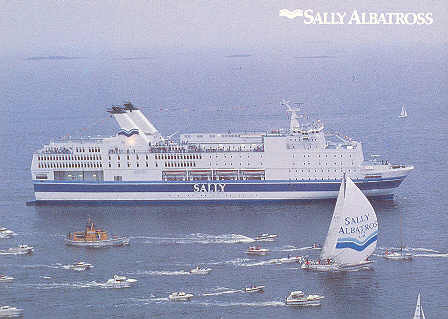 Photo by Luis Gomez C.
In 1994, Sally Albatross grounded whilst on a cruise, suffering major damage. 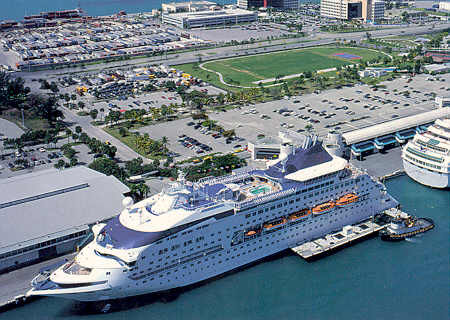 After repairs, she was chartered to Norwegian Cruise Line (NCL) as the Leeward. The Baltic cruise market had been hit badly by the Estonia disaster in September 1994. 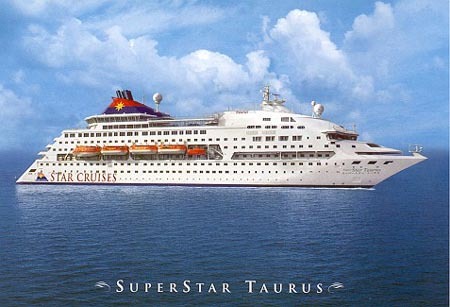 In 1999 the charter was transferred to NCL's owners, Star Cruises, for service in the Far East as SuperStar Taurus. 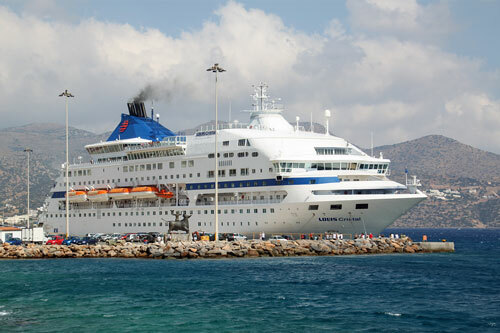 The charter was terminated by Star Cruises in 2002, and she returned to her owners for service as Silja Opera. 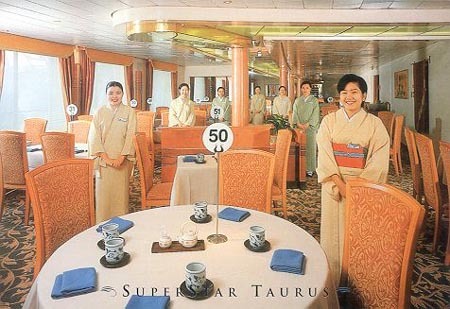 Two official Star Cruises cards of SuperStar Taurus are shown below..
Official postcard of the four Seasons Dining Room on SuperStar Taurus. The Star Cruises charter of SuperStar Taurus was terminated in 2002, and she returned to her owners for service as Silja Opera. 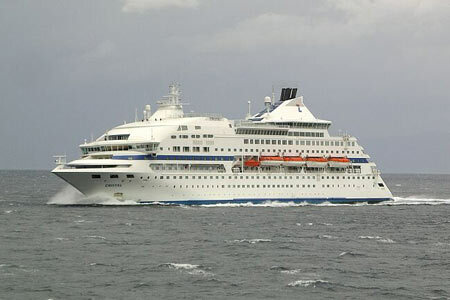 Silja Opera was not part of the sale of Silja Line to Tallink in 2006, and she remained laid up at Tilbury for much of that year. 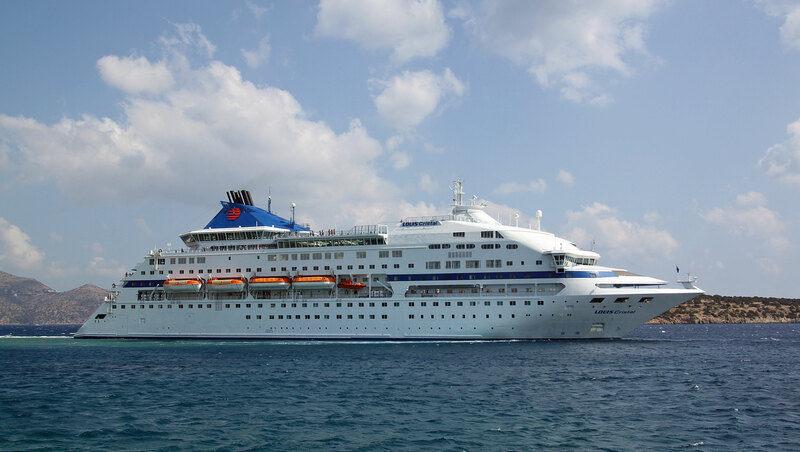 Reports in 2007 have suggested that she will replace by the Sea Diamond of Louis Hellenic Cruises, which was lost on 6th April 2007 off Santorini Island, Greece. 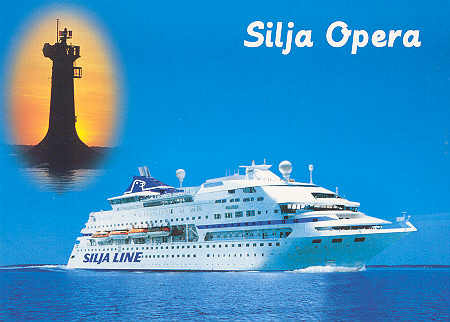 Niklas postcard A101 of Silja Opera. 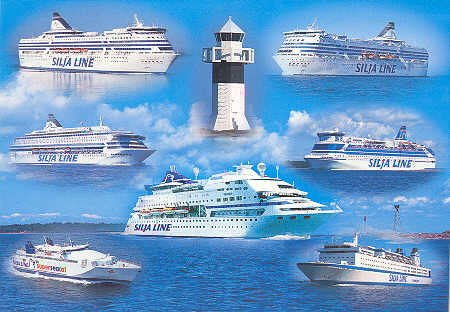 Niklas Silja Line fleet postcard A108, including Silja Opera.